Learning all about Jesus’ love this summer. 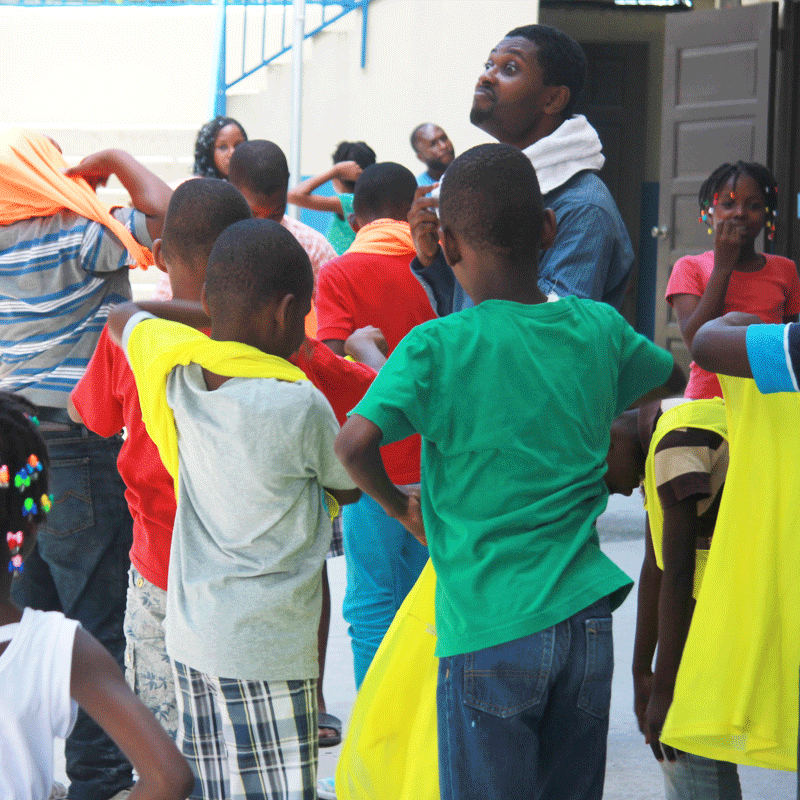 This summer our students and community children were offered a free weeklong Vacation Bible School. 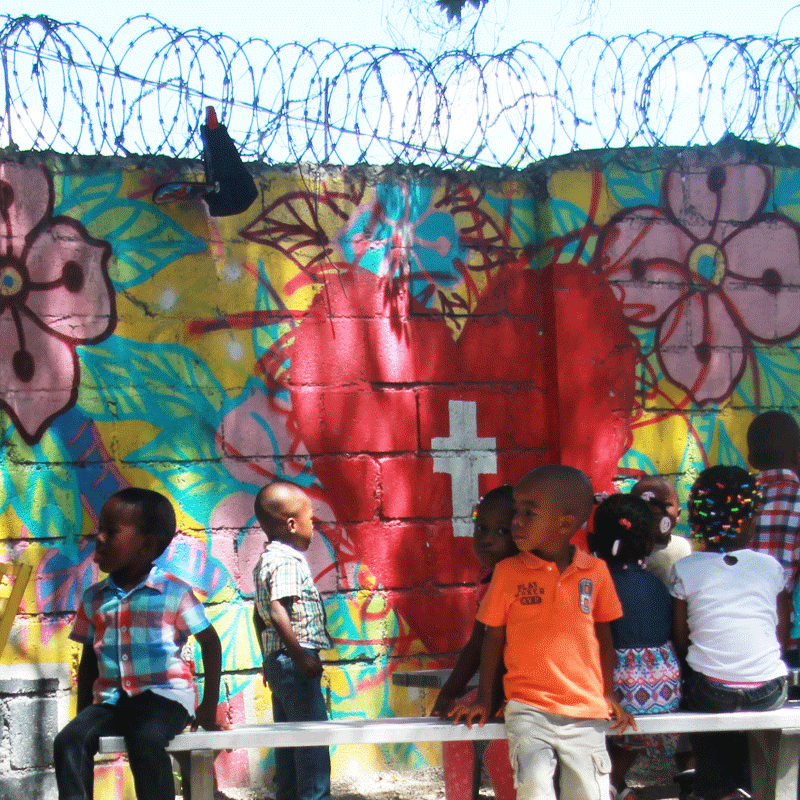 Best of all, it was all developed and executed by our Haitian staff! Teachers and parents all volunteered their time and talents to make this happen. 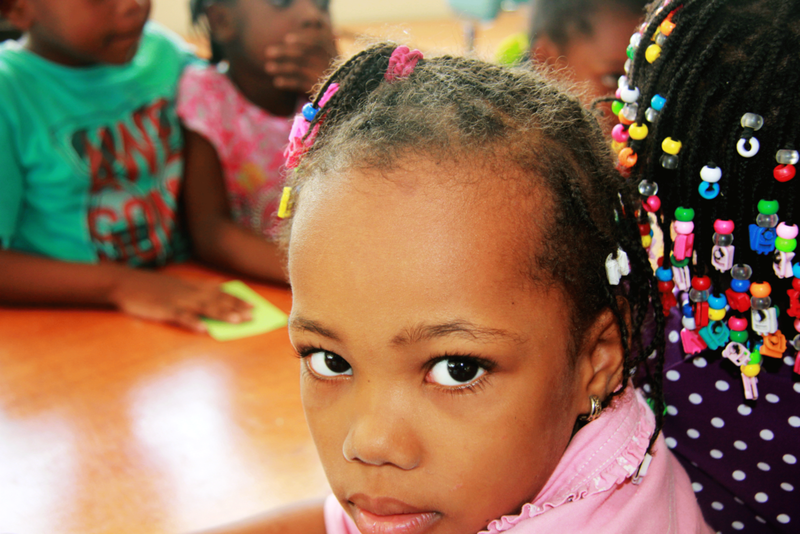 In the morning, the kids were gathered up outside of the Three Angels gates and brought into the Kenbè Fem Family Center. Each day started with singing Gospel songs and previewing the bible lesson for the day. Everyone played games and did arts and crafts projects, all created by the volunteers. Lunch was served daily, a highlight for everyone! We loved seeing this true sense of community among our staff members, the students, and their families. Thank you to all who gave towards the building of the Family Center and the new play equipment. And a great big thank you to all our student sponsors who truly underwrite the sharing of the Gospel, in word, deed, and spirit at Three Angels!